Best known for scoring “America’s Favorite Player” during Big Brother 18, Victor is used to getting his hands dirty in order to win. Will his charm and strategic wits be enough for him to coast to a rookie Final? Or will his beef with his Vendetta, Natalie, reignite and find him an early exit with no chance at Redemption? Ugh. Take your shirt off. I wish he was going on single and not tied down by a dud named Nicole. He was undoubtedly the most obnoxious new player besides Paul on BB18. 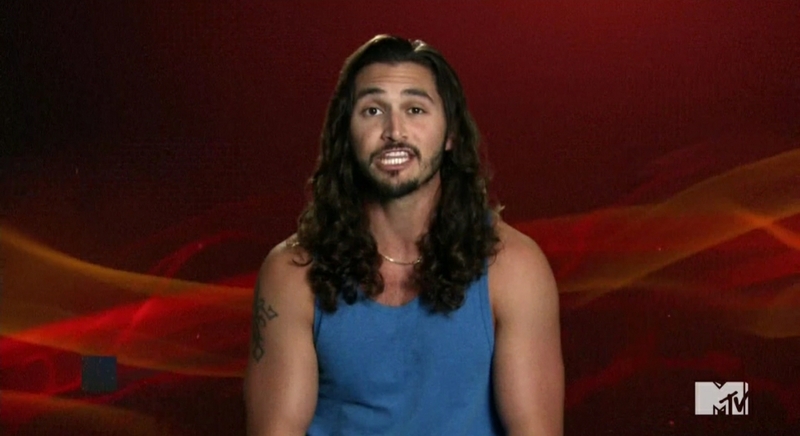 No idea why anyone would want to see him on The Challenge nor do I have any idea how this tarzan look alike has fans. He's going to be the biggest flop of the season and it hasn't even aired yet. He is lucky Donny declined. I like the addition of BB blood. The CBS/Viacom merger (or re-joining) seems to be off, but I could see the utility and having Survivor, TAR, BB and The Challenge all under one roof and a single brand. My guy! Love El Fit Vic! Evicted three times in one season and still didn’t make the quarter finals. Homeboy really out here acting like he wasn't even on this season, eh? I love how the alumni are showing more support for Nat than him. ROFL! Waste of a spot. The least interesting of the group imo. It doesn’t look like he follows anyone or anyone follows him from The Challenge. Clearly it all goes wrong for him but it looked like he was attempting moves on the first episode. I thought it looked like he had potential. He was the absolute worst over the top character on Big Brother. They should have gotten Paulie even though he's an *******. Ehhhhh, I don’t know. The way they edited his conversation with Joss made it seem like we were supposed to think he’s a cocky rookie (ala Dario in Bloodlines) that hasn’t proven himself yet. It's really odd how he doesn't even mention The Challenge at all on any of his social media accounts... why agree to be on the show? He had to at least have some idea what he was getting himself into. He was the absolute worst over the top character on Big Brother.